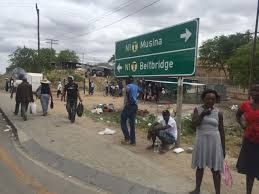 There was confusion at Beitbridge Border Post yesterday with luxury vehicle importers refusing to pay import duty in foreign currency in line with the new Government regulations as proposed by the Finance and Economic Development Professor Mthuli Ncube in Thursday’s budget announcement. In his 2019 annual budget statement, the minister proposed that with effect from yesterday importers were liable to pay duty in foreign currency for vehicles and specified goods. “In order to redirect scarce foreign currency to the productive sectors of the economy, the budget proposes that customs duty and all other taxes on imported motor vehicles be levied in foreign currency acceptable as legal tender, with effect from 23 November 2018,” said Prof Ncube. The measure will however not apply on commercial motor vehicles and vehicles for use by the physically challenged. “However, on compassionate grounds, a transitional mechanism will be put in place to cater for motor vehicles and designated goods that were purchased on or before 22 November 2018 and consigned within a maximum period of six weeks. The exemption will be granted on the basis of recommendation by the Zimbabwe Revenue Authority (Zimra) and approved by Treasury”, said Prof Ncube. When the news crew visited Manica Transit Shed yesterday, car importers especially those who had their vehicles delivered and purchased before the announcement of the budget statement said they were waiting on Zimra to clarify their case. They said although Value for Duty Purposes (VDP) and duty percentages of 96 percent had not changed, it was unfair for Government to charge duty in foreign currency considering that the late duty calculations at the transit shed was not of their making. “Government must reconsider its position. The delay in duty calculations is not of our own making and we cannot be punished for that. The vehicles were delivered early and Zimra is overwhelmed with processing the entries. This should not burden importers,” said a car dealer identified only as Mike. He said it was absurd that the Ministry of Finance was requesting that they make written submissions to seek authority to pay duty for their vehicles using the RTGS method. Zimra officials were not accepting payments of duty on vehicle imports pending further clarification from their Commissioner General Ms Faith Mazani. The parastatal’s spokesperson, Mr Francis Chimanda could not respond to enquiries by end of day yesterday. There is a general feeling among importers that the Minister’s policy was haste and should have given people a grace period of at least two months to prepare themselves. In separate interviews, Zimra officials said the new regulations had a lot of technical challenges affecting its implementation. “Technically, all vehicles whose duty had not been calculated by midnight on 22 November are liable to pay duty in foreign currency under the new regulations. However, we have a challenge with people arguing that most of their vehicle had been shipped prior to the new regulations. We have to consult further”, said one Zimra official. The permanent secretary in the Ministry of Finance and Economic Development Mr George Guvamatanga did not respond to calls and text messages sent to his mobile phone.